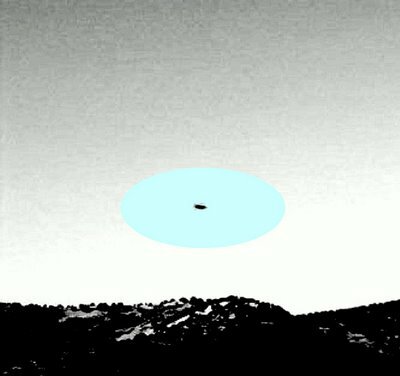 The lens-shaped UFO captured on Monday, March 9th at 19:33 hours by persons connected to the IIEE and journalist Osvaldo Muray, according to preliminary analyses of the photographic sequence made moments before, focused on the same spot in which it appeared, display a possible materialization of the object prior to its final shape. NOUFA presents these images here. Work is being conducted on these images at the time in order to relate what appears in these photos and their relationship to the final image presented. We shall share these with our readers shortly. 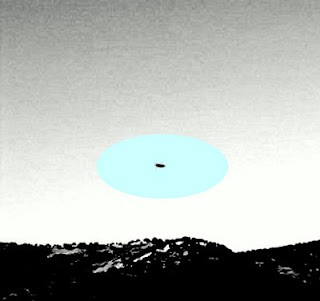 After consulting several international researchers, Canadian photo analyst Lexis M. Robinson stated that it was not the first time that photos of this type have reached his hands, and that he is increasingly convinced that these objects materialize moments prior to appearing and then vanish in the same way. What he does not know for sure is the origin and composition of these UFOs, a term very well employed in this case. It should be mentioned that other phenomena were captured in the environment at that time, such as the controversial “ORBS” – another phenomenon that has commanded the attention of researchers in recent times.